There was a time when I thought I was intolerant of chocolate and I was absolutely devastated. As it turned out I was intolerant of the erythritol in the “healthy” chocolate that I was choosing to indulge in! Over the past year I have been passionate about making my own chocolate, but lately I have been buying it, and I thought you might like my tips for choosing the best, low fodmap chocolate. There has been some research into dark chocolate that also indicates it to be a better choice than milk chocolate with some health benefits (1, 2,3). Try to choose those that have cacao or cocoa as the first ingredient, not sugar. USDA Organic and Fair Trade. Range of dark chocolate. 85% Dark Blackout is the best. 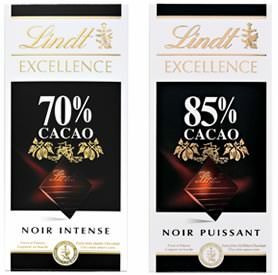 72% Cacao and 86% Cacao Chocolate Bars. They have bars as well as small squares. 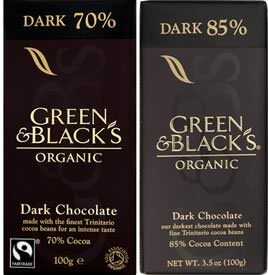 70%, 85%, and 90% Cacao bars. A German chocolate. Available at Aldi stores. ← My favourite low fodmap ingredient, and a recipe to share!